Good coffee starts with sustainable cultivation. Espresso, Ristretto, Lungo – all the same? 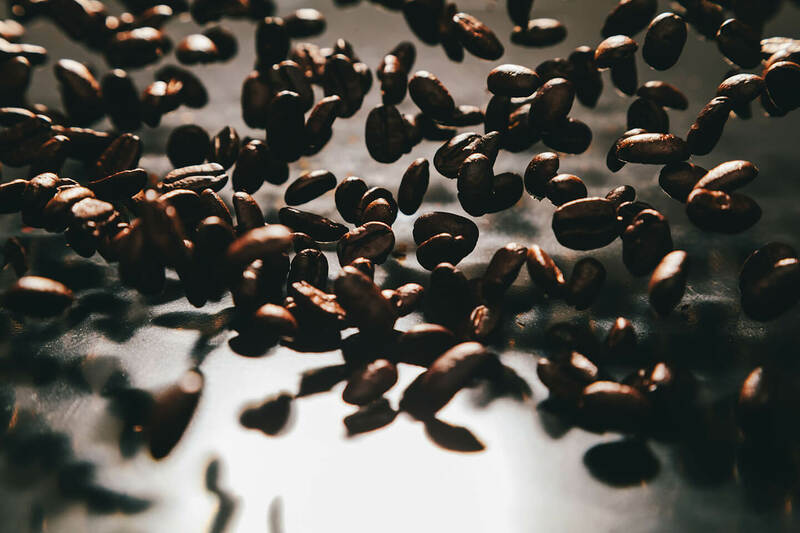 The better bean: Arabica or Robusta? Is a single-origin coffee the only choice – or is it sometimes a blend that fits the bill? 5 ROOMS. 5 WOMEN. 5 STORIES. Coffee and red cabbage – seriously?! They are Italian. They are black. They are strong. Yet each one has its own unique character. Find out which of the three is best suited to you. Espresso, Ristretto and Lungo seem confusingly similar at first glance. But don't be fooled! The three brothers all have their own distinct qualities. Our "punchy" overview will reveal which is most compatible with you. Meet “la familia”! Lungo, in other words "the long", is the mildest of the three varieties. That doesn't mean that it can't be tough. 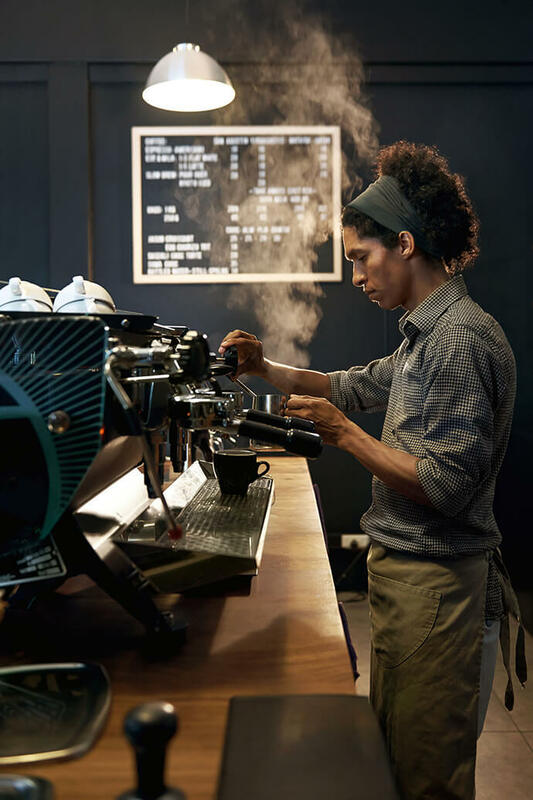 You need 5-7 g of espresso powder – the same amount of coffee as a classic espresso. But with twice as much water. That is why with around 80-110 ml per cup, you get double the amount of coffee compared with its younger brother. The Lungo is not quite as intense in flavour and has a balanced coffee aroma. Coffee roasters and coffee nerds write entire books about the perfect espresso. Let's get to the point: You prepare an espresso with around 5-7 g of finely ground espresso powder. Very high pressure is used to compress approx. 30-40 ml of water through the coffee. Hence why it is called "squeezed out" in Italian. But not for longer than 25-30 seconds please! Otherwise it will quickly become too bitter. Intensive, smal andl with a perfect crema which makes it the classic of all classics. Ristretto, with a less flattering translation as "the limited", can most certainly be described as the opposite of Lungos. We keep the same amount of espresso. But this time only half as much water is allowed to pass through. Say, around 20-25 ml. This produces a very concentrated, very strong and very intensive coffee. That is not necessarily to everyone's taste. But definitely for those who are coffee junkies. And sometimes exactly what you need to perk you up on a bad day. And the preparation? And as with so many things, it depends on your approach. And indeed that of your machine. If you own a portafilter machine for example, you can individually and precisely adjust the amounts of water for the Italian of your choice. A lot of Nespresso®*machines are already preset to use the right amounts of water for Ristretto, Espresso and Lungo. Your machine only displays options for Espresso and Lungo? Then one option for a "mind-blowing" Ristretto is to press the Espresso button a second time for only half as much time. Or you reset the fill level of your machine. This can be done easily with most models by pressing the button for a long time after having inserted a capsule. You stop pressing it as soon as you reach the desired amount – your machine has already remembered it. Even though it is difficult to tell the three brothers apart at first glance. You will immediately notice a difference in taste. Now the only remaining question is “Espresso, Ristretto or Lungo – who’s your favorite?”. 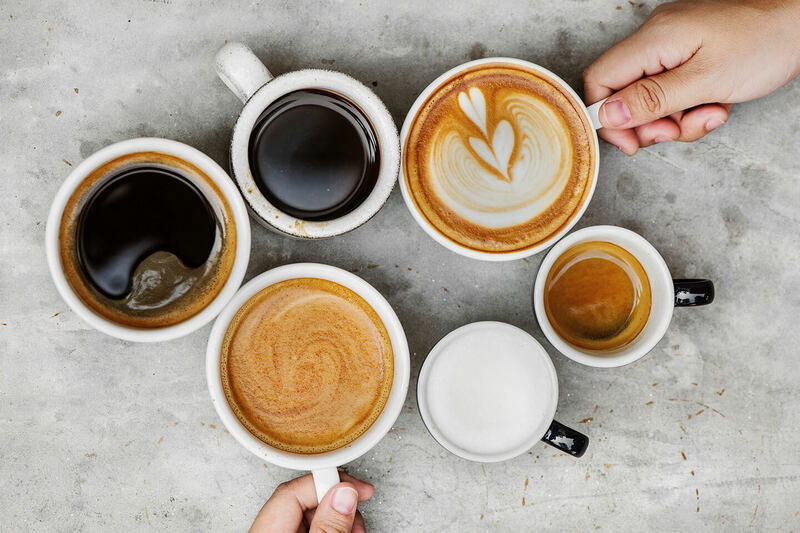 Coffee – black or white?